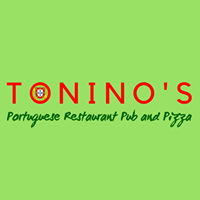 To call Toninos a bar is a little bit of an understatement. That said, our bar is fully licensed with some of the finest beers, wines and liquors in the world. If our helpful waiters don’t know how to make your drink, fear not as they will make a plan to find the ingredients and serve it to you as quickly as professionals as possible. We also offer a snooker a pool table where we invite everyone to take their chance at sinking the black ball – just be warned – there are some pros prowling our crowd. We have a master Sushi chef who is able to make your maki, temaki, uramaki, sashimi, and nigiri. His times are from 18:00 – 21:00 every night. Our dining room facilities are able to cater up to 100 people at a time. We offer bachelors, hen parties and business meetings – we also offer free WIFI. For the smokers, we have a dedicated, room section upstairs. And for our outsiders, our outside bar will be a pleasure as you watch the sun set. Please note, children under the age of 18 are not allowed in the bar area and will be refused alcohol. Smoking is prohibited except in designated smoking areas.